White Wolf : Meet Orphaned Bear Who Lives With His Humans in Moscow, Russia. 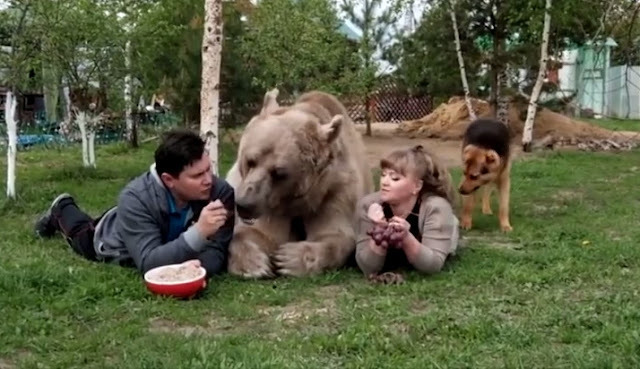 Meet Orphaned Bear Who Lives With His Humans in Moscow, Russia. 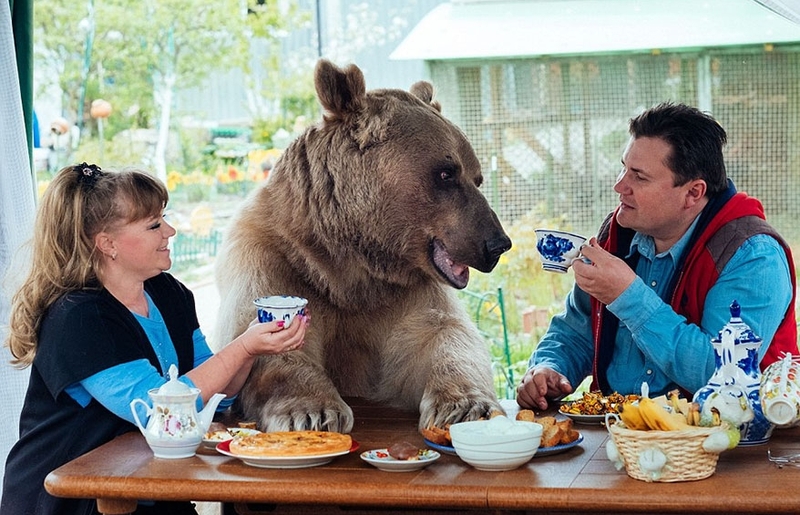 The idea of sitting down for dinner with a 300lb bear is enough to put most people off their food. But for one family from Russia this wild idea is actually a way of life that extends far beyond sharing the odd meal at the dinner table. On the surface Svetlana and Yuriy Panteleenko appear like any other ordinary couple, but for their 23-year-old bear named Stepan. He also stocks up on a hefty 25kg of fish, vegetables and eggs - meaning dinner time at the Panteleenko's is never a breeze. But fortunately for Stepan, he's also a football fanatic so works off the gut-busting amount of food his parents serve him every day. 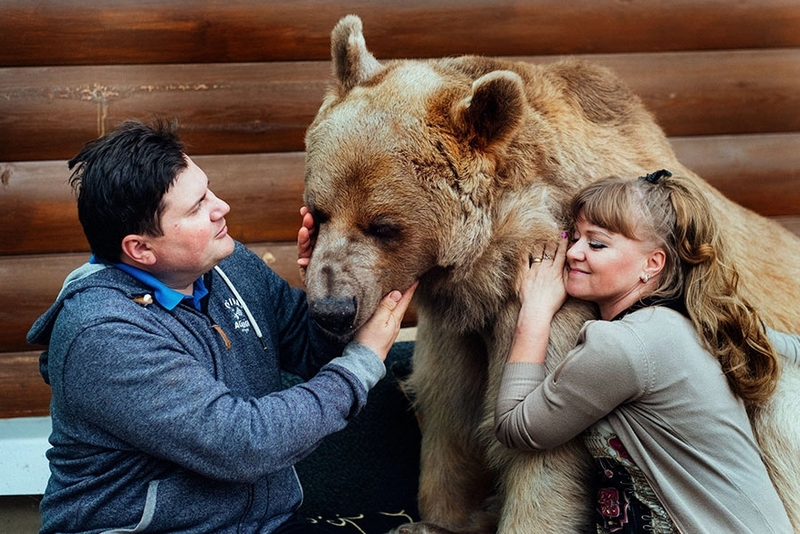 Svetlana and Yuriy adopted Stepan when he was aged just three months. 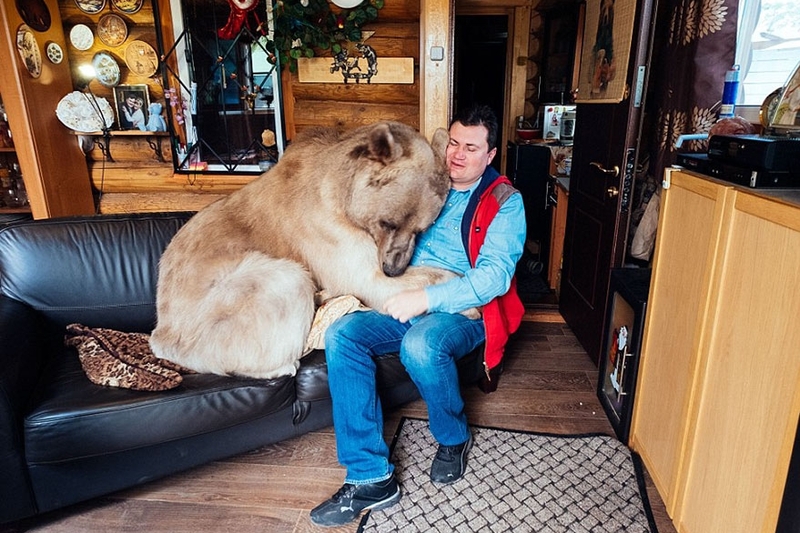 'When we adopted him, he was only three-months-old and had been found by hunters in the forest having lost his mother. He was in a very bad condition. 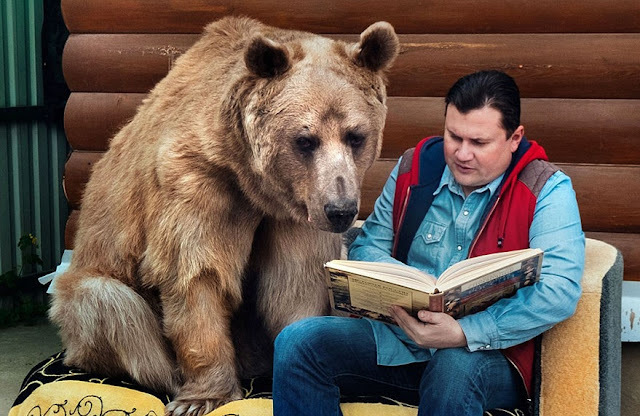 'He absolutely loves people and is a really sociable bear - despite what people might think, he is not aggressive at all. We have never been bitten by Stepan. Responses to "Meet Orphaned Bear Who Lives With His Humans in Moscow, Russia. " It proves that every animal is capable of love! WOW, this is unbelievable ... a must see, really! Lol I like how the woman kicks the dog away.